The two main factors that govern how highly your site will rank in the search engine results for a given keyword are relevance and reputation. Relevance is a measure of how easy it is for the search engine to tell that your web page is really about the search term that’s been used. We improve your relevance with on-page search engine optimization, and we talk about that extensively on other pages of our site. Reputation is measured by the number of links coming into your web site and the quality of those links. The most common term for that is “link popularity”. If all of the top ranking web sites for one of your critical keyword phrases have link popularity scores of 5, 6, or 7 but your web site has a link popularity score of 2, it will be very difficult (if not impossible) for your web site to rank among them, no matter how well optimized it is for keyword relevance. Therefore it’s important to embark on a link building campaign so that your web site can effectively compete with others. Link popularity generally accounts for about 30% of all factors affecting your rankings in the search engines. This percentage varies depending on each particular search engine’s degree of emphasis on link popularity. Google weighs link popularity more heavily than other search engines: it accounts for 40-50% of where you rank in Google. 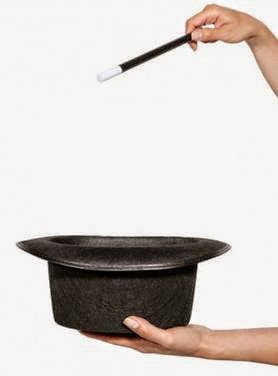 In Rank Magic’s search engine optimization recommendations, we always take into account the effect of links among the pages of your web site on your site’s link popularity. That’s one of the two components of link popularity. The other component has to do with how many pages from other web sites are linking to pages on your site. That’s what we work to increase in a link building campaign. How Can You Build Your Link Popularity? There are several ways to build your link popularity. Here are a few. Excellent content on your site that provides value to your visitors will encourage links without your having to ask for them. A listing in the Yahoo! directory can influence your link popularity because it’s a respected link source. At $299/year, though, that’s an expensive link. A listing in the Open Directory Project is another valuable directory to be listed in. Especially since their directory powers over 450 smaller search engines and directories, so that the number of links to your site is multiplied. Topical directories related to your industry are another good source of quality links. Vendors and other business partners can provide links that are focused and keyword specific. Participate in email newsletters and online forums that relate to your business. When you provide good advice to someone, a link to your web site in your signature line at the bottom of your posting is a valuable addition to your link popularity. If you write informative articles about the general subject matter of your business, you can post them online for editors of other web sites to use when they need extra content for their own web sites. When they use your articles, each one has a link to your web site. Often it’s necessary to request that other web sites link to yours. Google’s PageRank is perhaps the most obvious implementation of link popularity based evaluations impacting your ranking. With Google, links from pages that themselves have a high PageRank contribute more to your own PageRank than do links from sites with a low PageRank. And, in the extreme, it’s been shown that web sites with no external links are subject to being dropped from the Google results altogether. Google’s PageRank is a logarithmic scale of 0-10 much like the Richter scale for measuring earthquakes: it’s much easier to move from a PageRank of 3 to a 4 than it is to move from a 4 to a 5, and that’s easier than moving from a 5 to a 6 and so forth. Are All Links of Equal Value? Is link popularity strictly a function of the number of incoming links or are some links are more important than others? The answer is that some links are definitely more important than others. The words in the link and the content on both the linking page and the destination page help determine the relevance of the link. And more relevant links help your site’s rankings more. If you have a web site that sells computer software, a link from a computer manufacturer is more relevant that a link from your local butcher’s web site. A link that uses the phrase “computer software” in the text of the link is a more relevant link than one that simply uses your web site address. Another factor that distinguishes the value of different links is the link popularity of the linking web site. A link from a web site with a PageRank of 8 is far more valuable to you that link from a web site with a PageRank of 1. Which Sites Should I Consider When Exchanging Links? The best sites to consider requesting links from are web sites that complement your own site but don’t compete directly with you. For sites like that, it makes sense for them to link to you because it provides additional value to visitors on their own site. If you request a link from such a web site, be prepared for them to request a reciprocal link from you. If a web site isn’t good enough for you to link to, you shouldn’t be seeking a link from them. Never seek a link just for the sake of the link. And above all avoid “link farms” which are web sites designed simply to provide links to other web sites. The search engines are wise to that trick and it won’t help you. 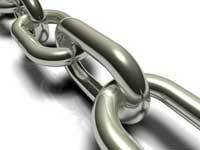 Link building it is a very labor-intensive process, and your efforts are probably better focused on your own business. 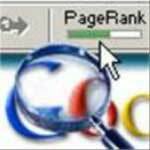 Rank Magic can seek and identify high quality, relevant web sites and ask their webmasters to link to your site. Many webmasters are being bombarded by form letter email requests for links, and routinely discard them without a second glance. For that reason, Rank Magic always sends personalized individual emails when requesting links. And when possible, we call on the telephone. Then we follow up if we don’t get a response promptly. In addition, we can provide all the information you need to add prospective link partners to a “links” or “resources” page on your web site. With that in place, we can approach potential link partners and explain to them that we have already linked to them because it’s of value to our visitors to know about their web site. That makes it easier to explain why it will be valuable for them to link to you. As you can see, link building is a labor-intensive process and needs to be distributed over time. As a result, we structure a link building campaign as an annual campaign devoting a predetermined number of hours per month to the effort. For some clients, we devote an hour a month. Other clients may request two or three hours of effort per month. For more information, see our article on the Entrepreneur Magazine web site. Contact Rank Magic today to improve your site’s link popularity through effective link building, achieve enviable search engine positioning and realize more business from your web site!